Charges against 19-year-old Devontre Thomas will be dropped if he obeys the law and keeps a job for 60 days. 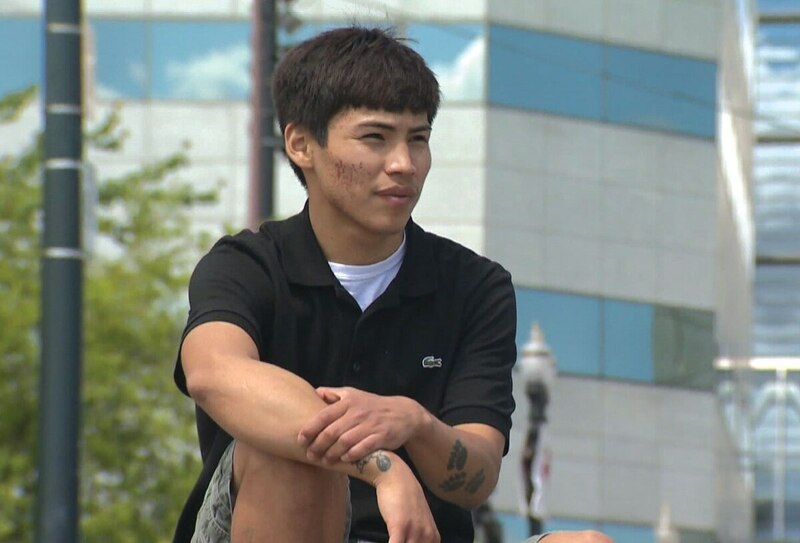 Federal prosecutors have agreed to drop charges against a Native American teenager who faced a year in prison for possessing a gram of marijuana. The agreement, filed today in federal court, says that the federal misdemeanor charges against 19-year-old Devontre Thomas will be dropped if he obeys the law and keeps a job for 60 days. "I think it's a fair resolution of the case," says Ruben Iniguez, Thomas' public defender. "I would sincerely hope that no one else, adult or minor, has to be faced with the same sort of dilemma — the heavy hand of the government." The U.S. Attorney's Office confirms it is abandoning the prosecution. "Procedurally the case remains pending," says spokeswoman Gerri Badden, "however, the motion correctly states the terms of the diversion agreement. Assuming Mr. Thomas completes the agreement, the United States will move to dismiss the case on October 4, 2016." The deal to drop charges against Thomas comes eight days after WW published a cover story examining why U.S. Attorney for Oregon Billy Williams was prosecuting a Native American teenager for an amount of cannabis that would roll one joint. Outcry against federal prosecutors has grown in the past week. Last night, three members of the Oregon congressional delegation—U.S. Rep. Earl Blumenauer and Senators Ron Wyden and Jeff Merkley—released a letter to Williams, demanding an explanation for his drug enforcement priorities. In that letter, the lawmakers requested a full list of marijuana possession crimes pursued by Williams' office. Thomas found himself in the sights of the federal government in March 2015, after a school official at Salem's Chemawa Indian School searched the backpack of another student and found a gram of pot. That student later told authorities that Thomas had paid him $20 for it. Related: Devontre Thomas is 19. He faces a year in federal prison for a gram of marijuana. How could this happen in Oregon? Today's agreement means that Thomas will not face the outsized penalty that would have come with a conviction. A conviction could have meant a year in prison and a $1,000 fine. Federal charges can't be vacated, so Thomas would have been denied federal student loans, public housing and government aid for the rest of his life. "Under the terms of the Agreement, the government will dismiss the pending misdemeanor Information if, for a period of 60 days, Mr. Thomas: (1) obeys all laws (federal, state, and local); and (2) attends school or works regularly at a lawful occupation." "While I am pleased to see the U.S. Attorney drop the charges in the case of 19-year-old Devontre Thomas, I'm still concerned that this Office thought it was worth prosecuting in the first place," he says in a statement. "My hope is that this sets a precedent that federal prosecutors should not be wasting time and resources on low level marijuana crimes."